What are examples of SMART goals for college students? Do you wonder, what goals should I be setting while I’m a student? We all have goals – there are always things that we wish for and want to happen. As a college student, it’s savvy to prioritize your goals. From getting good grades to maintaining a social life, there can be so many things you’d like to achieve. But, for your goals to be achievable especially when you’re hard pressed for time, you need to make sure they’re also S.M.A.R.T. These goals are definitely worth having, and you’ll definitely feel great when they happen. Get ahead. Be a winner. Stand out from the crowd. It’s well and good to have goals, but you need to make sure you can achieve your goals. So, what you need is a proven way to get the results you want. Let’s take a look at how setting a SMART list of goals for savvy college students works. 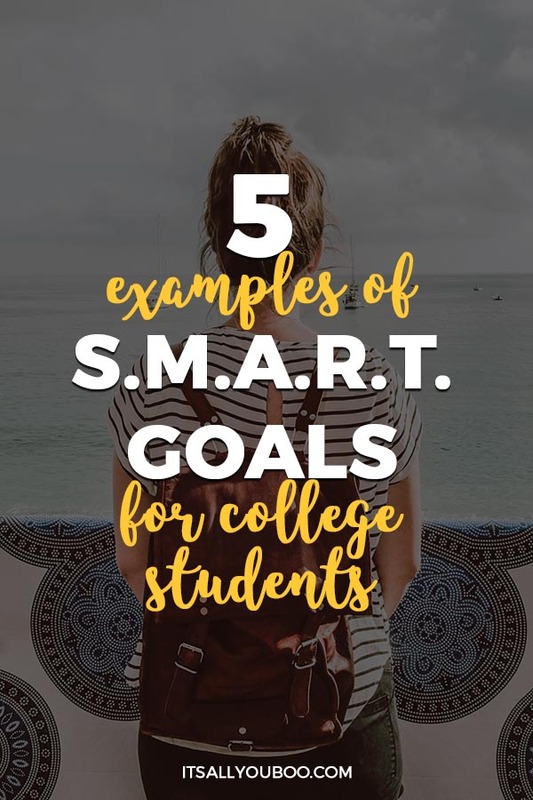 Here are 5 examples of SMART goals for college students. Specific: I want to lose 15 lbs. I’ll look up places like eBay and Craigslist, and buy a good used bicycle within 3 weeks. I’ll look online for simple and healthy meal recipes that I’ll use within a week. I’ll cycle the 6 km regularly between home and campus. I’ll always take the stairs and stop using the elevator. I’ll prepare my own simple and healthy meals daily. I’ll have fast food only once a week (down from my usual 3 fast food meals a week). I’ll be better able to successfully manage my busy college lifestyle. I’ll reduce my risk of falling ill.
I’ll develop positive long-term habits that will keep me fit and healthy. I’ll look better and have a better quality of life. I’ll look better, which will be an asset in my job search. Time-bound: I’ll lose 7 lbs in the first 4 weeks, and lose 8 lbs in the following 4 weeks. I’ll maintain my ideal weight from then on. This will work since I’ll be continuing my active lifestyle and healthy eating habits. Specific: I want to build up an emergency fund of $1,000. I’ll take a close look at my finances tomorrow – my monthly income and expenses. I’ll write down the areas where I can cut my spending. I’ll think of new side hustles to make more money part-time. Achievable: Every Saturday I’ll record the amount of savings I make, and how much extra money I make from my side hustle. Relevant: I really need to have an emergency fund, because there can be unexpected expenses like broken phones and auto repairs. Time-bound: I’ll have saved up my $1,000 emergency fund in 18 months’ time, as I have calculated that I can afford to put aside $56 each month for the purpose. Specific: I want to score at least an A- in each of my courses (I currently have an average grade of B). Over the next week, I will make appointments with my course instructors. I’ll ask them for advice on how I could earn an A- or a higher grade in each course. I will note down their advice and feedback, and start taking steps to do better in my studies. On the day after tomorrow, I’ll create a weekly time schedule for term time. This schedule will detail my class times, part-time work hours, self-study times, breaks and leisure times. I’ll allocate enough time each week for studying each course. I’ll regularly apply improved learning strategies based on my instructors’ feedback. Relevant: I really want to reach my full potential as a student. Getting good grades is a top priority for me, as doing better will jumpstart my career when I graduate. In a highly competitive job market, I’ll likely get better job offers sooner, and be better prepared for my new job. Time-bound: By the next major exams, I’ll be scoring more A- or higher grades in my courses. In a year’s time, as a SMART and savvy student, I’ll have my A- or better grades in my results. Specific: I’d like to save $500 for my vacation (or to upgrade my phone or computer). I’ll take a close look at my current finances tomorrow – my monthly income and expenses. Achievable: Every Saturday I’ll record the amount of savings I make, and how much extra money I’ll make from my side hustle. Relevant: I would love to go away on a vacation with my friends during the next summer break. It would help me to unwind after my exams. This will help me sustain my efforts towards doing better in my courses. Time-bound: I’ll have saved up $500 in 9 months – I’ve calculated that I can put aside $56 every month for the purpose. Specific: I want to become confident and effective at job interviews. Tomorrow I’ll begin searching for tips on interview skills. I’ll look for books and online info, and visit the career center to learn more about job interview skills. I’ll go through the tips and take notes on interview skills like anticipating possible questions and preparing well-considered answers to them. I’ll look into other skills like CV writing. I’ll practice my speaking skills by asking questions and volunteering answers in class. I’ll also practice answering possible interview questions, video record myself and playback to take note of my strengths and weaknesses. Getting a friend to ask me sample interview questions will help me fine-tune my answers. I’ll work on improving my weak areas. Relevant: Becoming a better speaker, listener and questioner will boost my self-confidence. In a competitive job market, strong interview skills will be a huge plus in my job search. Time-bound: In 2 months’ time, I’ll become more confident and effective at job interviews. As a SMART and savvy grad, I’ll present myself in the best possible light, and will secure a good job offer sooner. Ready to set S.M.A.R.T. Goals to help you succeed in college? Whether you’re pushing for better grades, or to save up for Spring Break, you need to make it Specific, Measurable, Achievable, Relevant and Time-Bound. 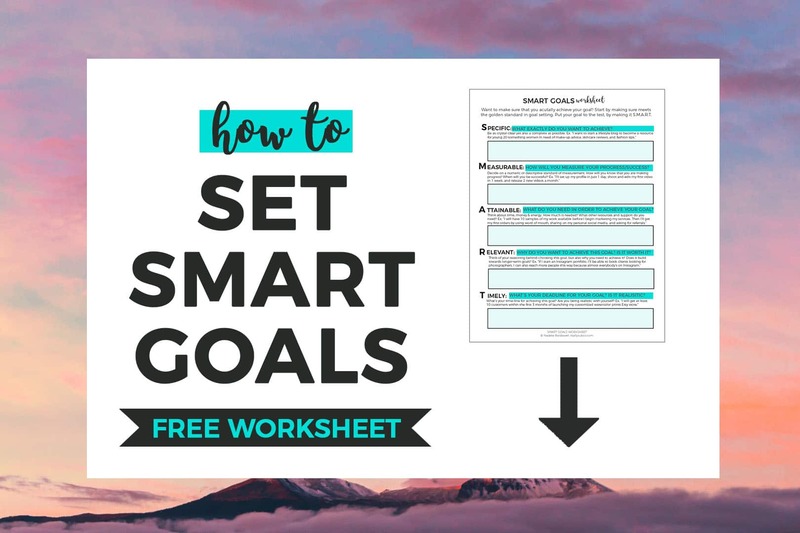 Sign up below to get your FREE SMART Goals Worksheet, form-fillable and printable. Get crystal clear about why and how your goals are important to you. Clarity is KEY to motivating yourself to stick to your SMART and savvy goals till you crush them. Vision: Create a vision board or vision screen – look for attractive pictures, whether hard copy or online. Display in prominent places the pictures of your goals e.g. photos of the places you plan to vacation at. Make the pictures a part of your phone or computer home screen. Reminders: Give yourself reminders – you can use phone apps or a digital/hard copy organizer to post reminders for yourself. Rewards: Reward yourself for the milestones achieved – always give yourself treats or other rewards to sustain your momentum towards reaching your goals. Treat yourself to a special meal or a present to celebrate your SMART milestones. Now, if you need something even stronger to keep yourself powering towards your set goals . . . Yes. Scare yourself into staying the course – this is the ultimate way! Imagine not cutting it at job interviews. Think about having to write and send countless cover letters over many long months, trying to get a job after graduation. Imagine not having an emergency fund, and desperately having to borrow money to fix your car. Do you want these unpleasant situations to happen? No? You know the SMART and savvy things you need to do to avoid the real nightmares. Step 1: Write up your SMART goals. Step 2: Keep yourself rewarded and motivated. Stay savvy. Step 3: Stay the course and walk the talk. Step 4: Relish crushing your goals. Rejoice! Start making and carrying out SMART goals as a way to succeed. 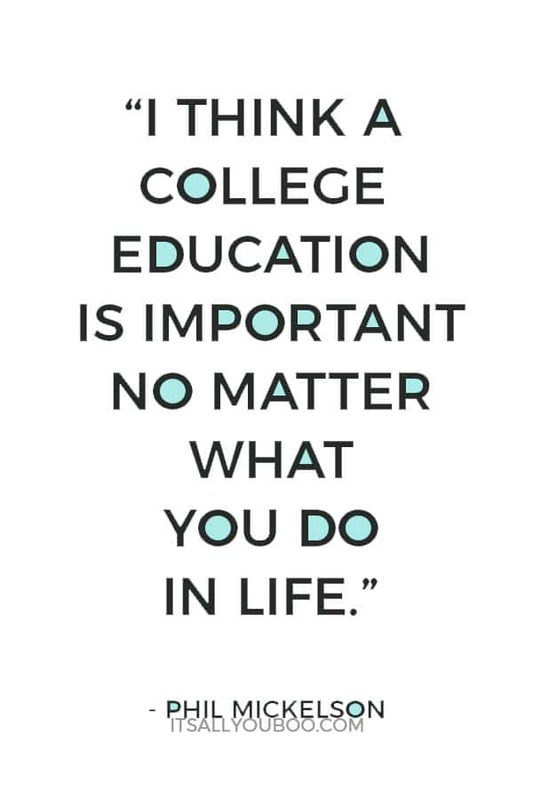 What SMART Goal will you set in college? 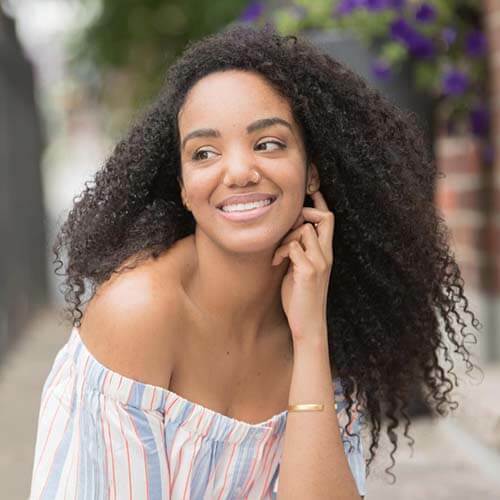 Jo of More Money Tips enjoys sharing helpful ideas and money saving/making tips with her readers. Her passion is looking into the many areas of life and coming up with how to have a better life and have extra money in the pocket. Helping all folks to reach their full potential and their goals give her a great feeling. Such a great post. These ideas are on point. Thanks for sharing ♥️ ♥️ By any chance you are interested on doing collaborations, you can check out the collaborations portal of Phlanx.com and connect with amazing brands! So you totally sound like an advertising or marketing student! I’m so happy someone can appreciate S.M.A.R.T objectives and goals. Its so useful in my career and in life goals! Thanks so much for your kind words! You’re so right. When S.M.A.R.T goals are used properly, they can be powerful in helping us to attain our goals, no matter how challenging they are. I’ll definitely be sharing this with my college-age son! It’s so important to know what you’re working towards and what you need to do to achieve those goals. For me, measurable was always the hardest part. 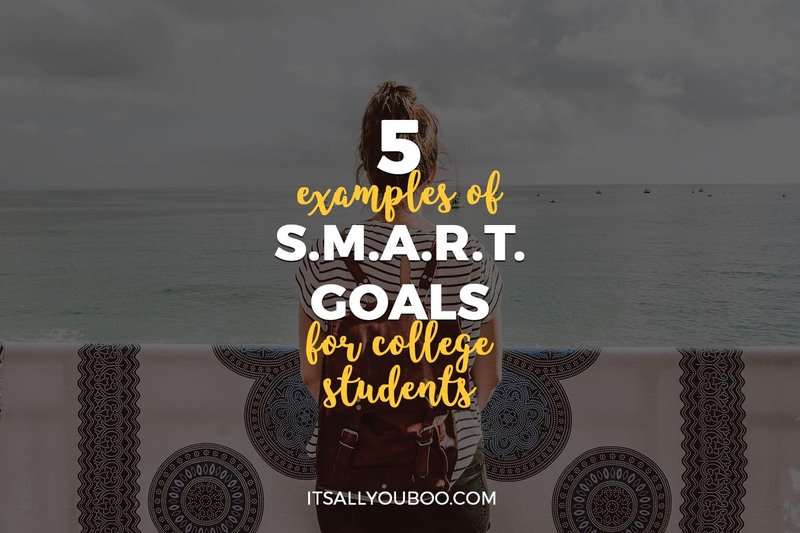 Thanks for stopping by 🙂 These examples of S.M.A.R.T goals have been specially chosen to help college students prioritize well during this stage of their lives as they’ve so many things competing for their attention. I’m glad they’ll benefit your son. Such a good read! This should be a must for young adults! Love the acronym! Will be sharing this post with my sisters who are in college. 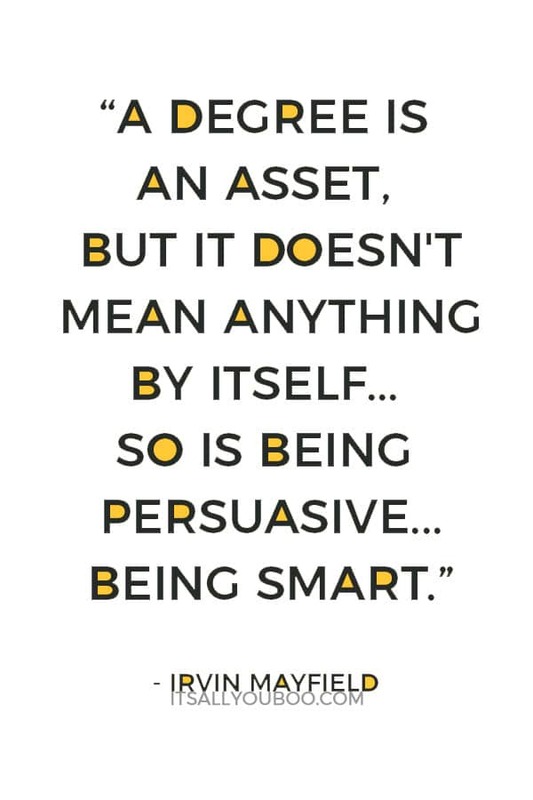 This mindset is so helpful! Thanks Sophia! I hope your sisters who are in college find this post useful. I wish you all many successes and good luck! Thanks for reading and sharing my post 🙂 Wishing you and your niece success in reaching all your goals! This is a really wonderful guide, I’m a university student myself and these are actually the goals I think about as well(and do work to achieve them too). Your tips are very useful, I’ll definitely keep them in mind. Hi Ahtsham, thanks! Glad you are finding this post helpful 🙂 May all your SMART goals come true soon! These are some great tips! I especially love the goal of taking a trip after big exams! I always tried to do this while I was in school. Thanks Emily! I’m glad you like these tips 🙂 Going on a well-earned trip after major exams is a lovely reward. 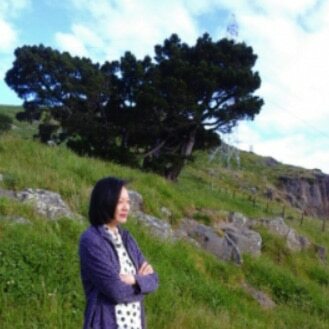 It need not be costly to get away and enjoy being in new places. Wish I would have had this when I was in college. As someone with some hindsight I can say these are great tips and goals. Especially the savings fund! Thanks very much Shannon 🙂 Yes, having a savings fund is a good goal to prioritize. It provides a financial safety net that gives a real sense of security. Adding to this fund is a good habit to develop. In my daily job, I have to make smart goals for my patients. Now I appreciate how you incorporate those goals into our personal lives. These are some great tips for my upcoming college student daughter. Hi Maria, thanks! I’m glad you found the ideas helpful 🙂 I wish your daughter a great start to college life, and success in attaining her goals. This is is such a handy list for teenagers and college going kids. My daughter will be going to college soon. Will save it for her. I so agree with you, Jo! It’s never too early to start using SMART goals. I can only imagine how much better I’d be at goal setting had I know this all in University. Wow! This is really great…Love the goals and using S.M.A.R.T. to help achieve them!! These are great goals! Saving up for an emergency fund is so important…you never know when something will come up! You’re right about costly surprises, and therefore the need to have an emergency fund to meet unexpected bills. There’s every reason to set up and build up this fund asap. I really like this. College can be pretty stressful so having goals written down in a way to hold yourself accountable is a good idea. Thanks very much 1stopmom! My boy’s in college and it is stressful keeping up in his learning and meeting assignment deadlines. Once planned and written down, SMART goals give clarity to one’s purpose and hold oneself accountable. This makes goal attainment much more likely to happen. My college days are way over but it was a nice read. Some of it caters to daily life too.